Hip flask is 7oz and is made of stainless steel. Lighter ships without lighter fluid. Items come in black silk lined gift box as pictured. 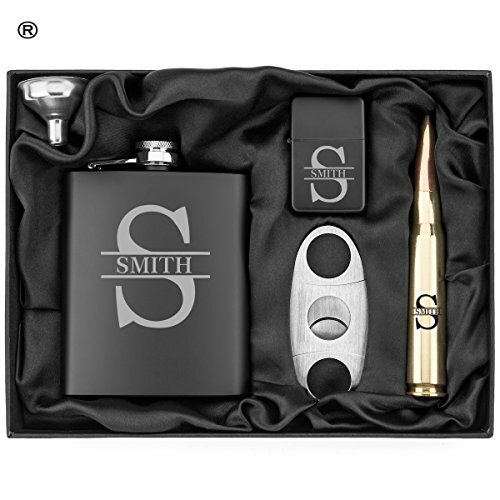 The bullet shaped bottle opener is a registered trademark of Caliber Corporation. If you have any questions about this product by Or Something, contact us by completing and submitting the form below. If you are looking for a specif part number, please include it with your message.